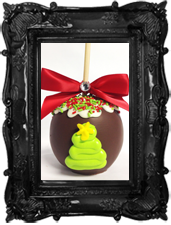 Orchard fresh apple hand dipped in rich creamy caramel, coated in milk chocolate and drizzled with white Swiss chocolate then topped with Christmas sprinkles. 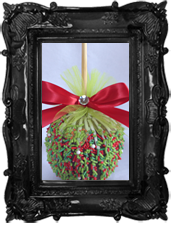 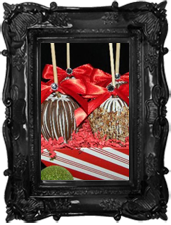 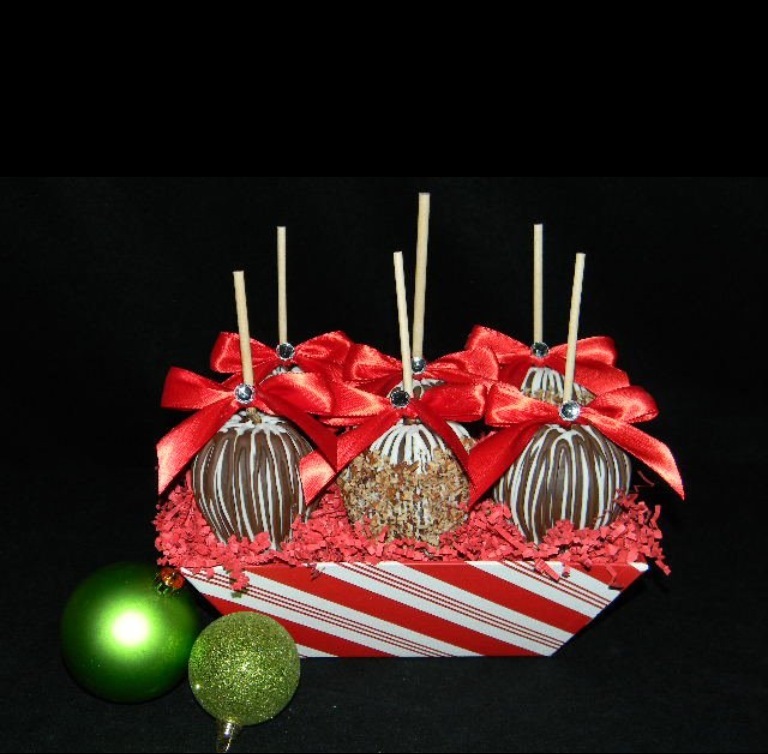 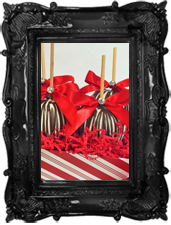 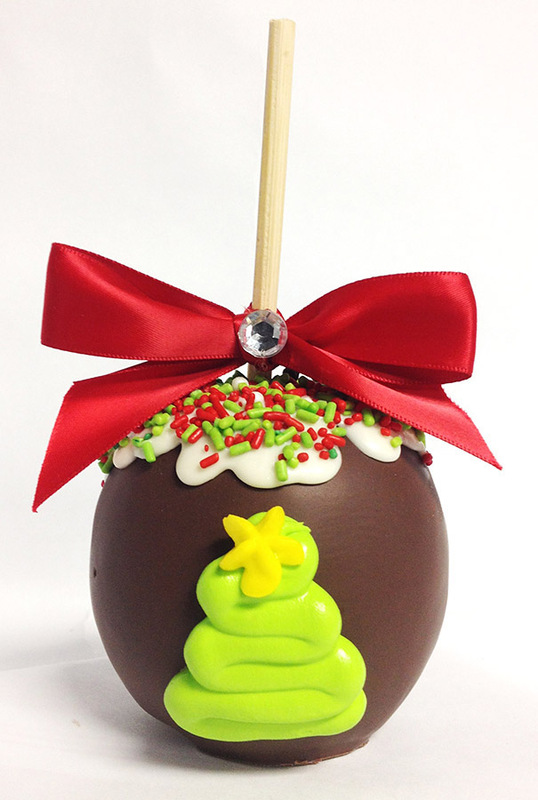 Orchard fresh apple hand dipped in rich creamy caramel, coated with milk chocolate and decorated with a Christmas tree. 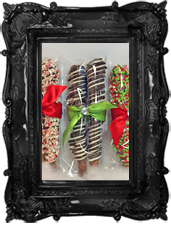 Two pretzel rods dunked in rich creamy caramel, coated in fine milk chocolate then drizzled with white Swiss chocolate. 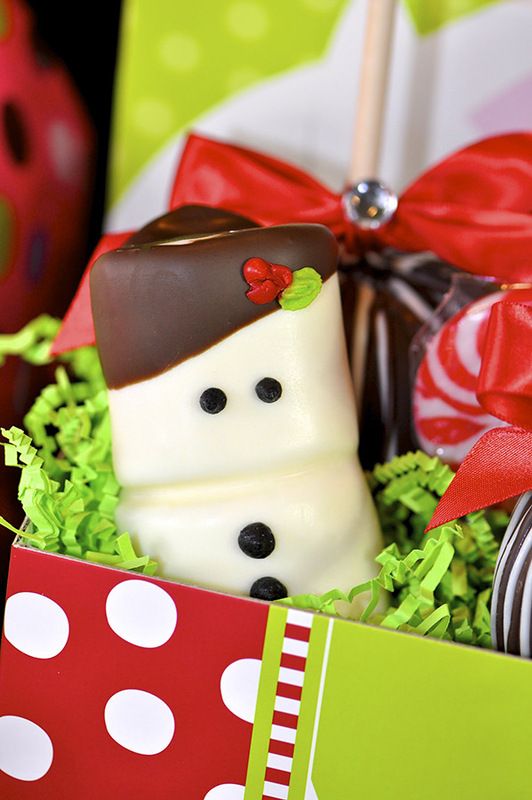 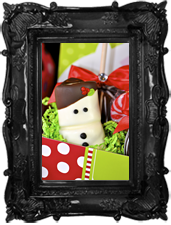 Large Marshmallows dipped in Swiss white chocolate decorated to look like a French Snowman. 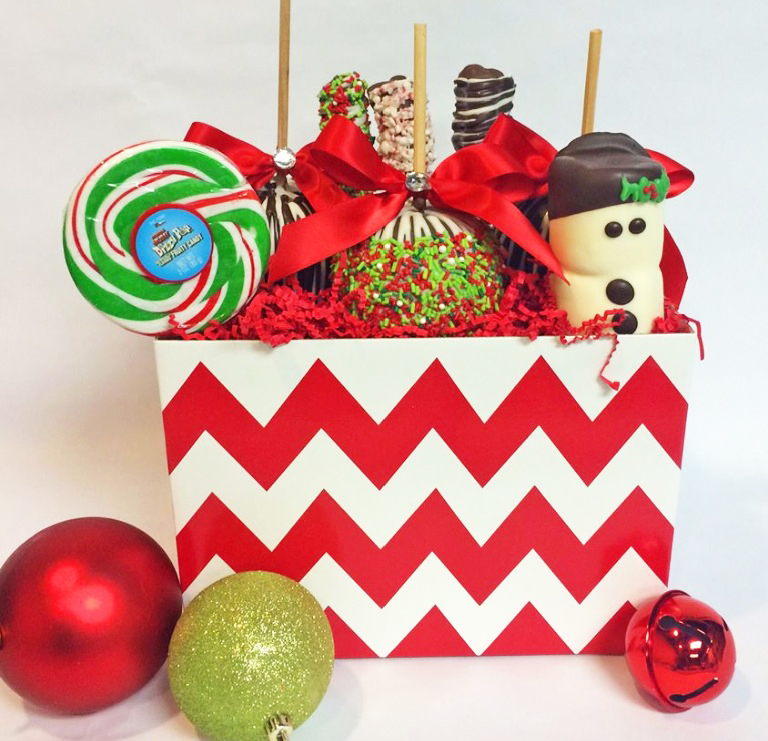 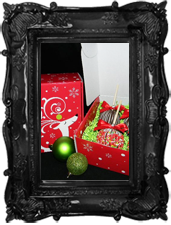 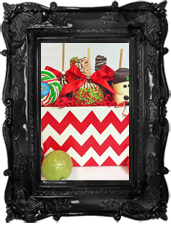 Includes 3 large apples of your choice, 3 gourmet pretzels, 1 French snowman marshmallow & a Christmas lollipop arranged in a Christmas basket. 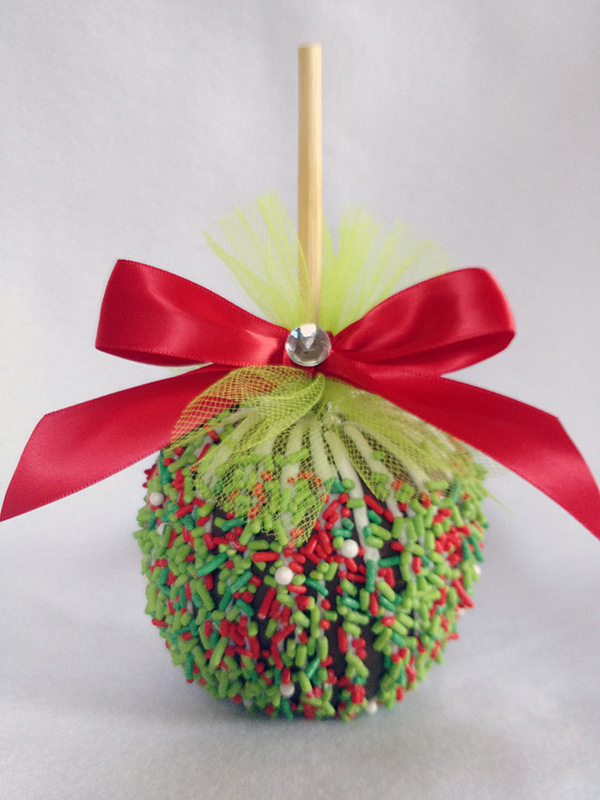 Includes 4 large apples of your choice. 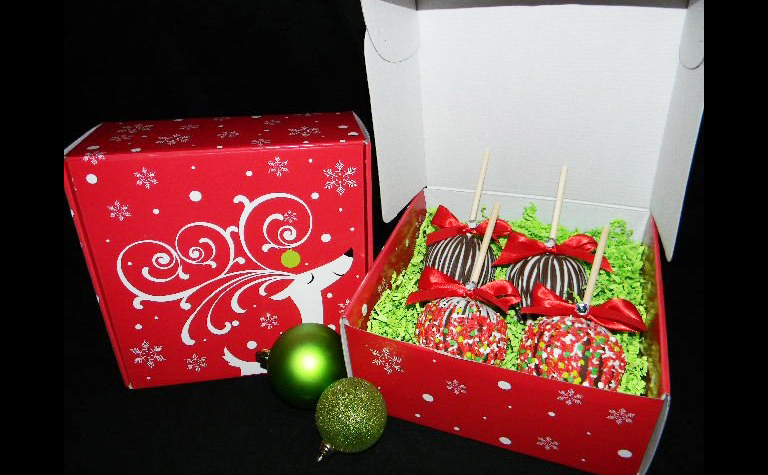 Christmas box with 4 large apples of your choice. 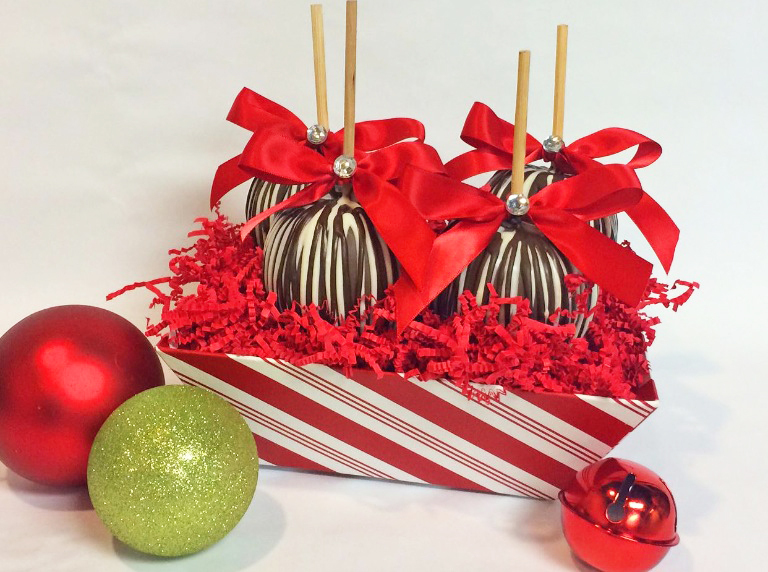 Includes 6 large apples of your choice.